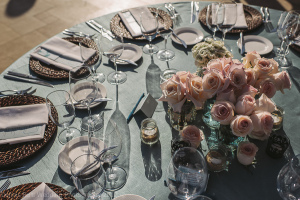 Aqua blue is a popular color for beach weddings, so when Alisha contacted us with her vision of an aqua and light pink wedding, we knew we had to pull out all the stops to make this an event unlike any other! 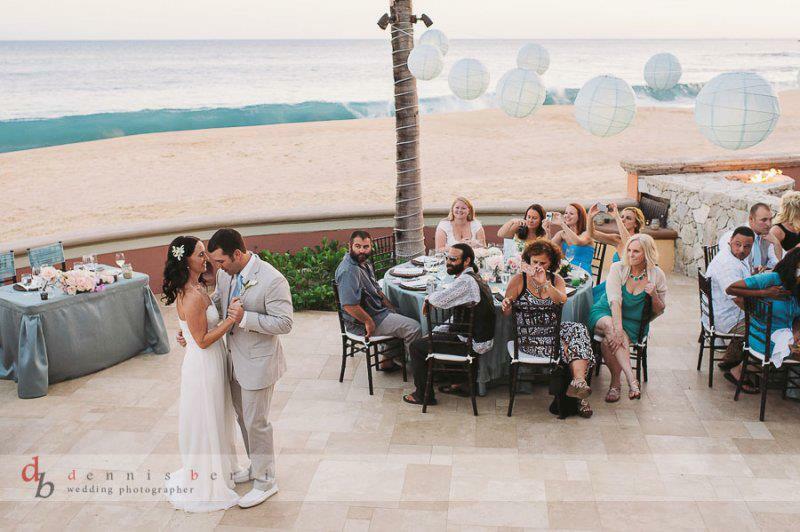 After our consultation with the bride, we felt inspired to bring a truly personal touch to her beachside reception. 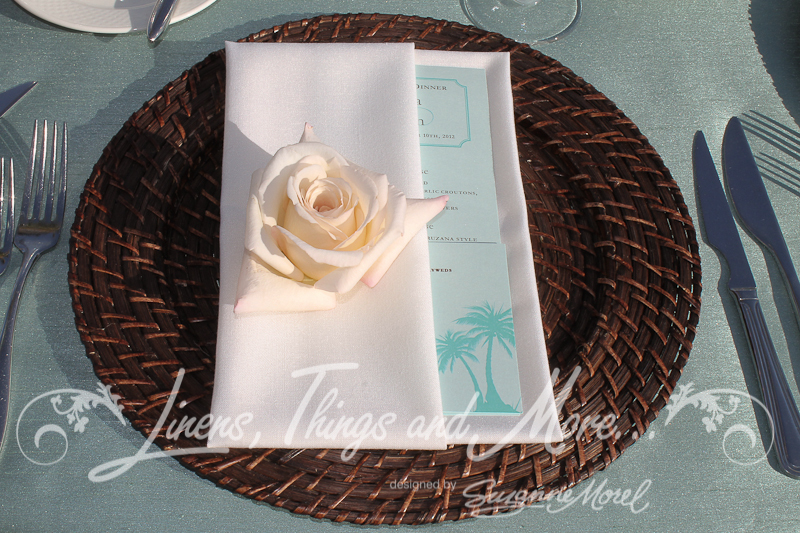 For her dinner and cocktail tables, we used flat aqua linens with just enough sheen to add a luxurious feel to this relaxed bride’s classic beach décor. As always, we worked hand in hand with the professionals at Cabo Floral Studio to incorporate the fresh roses as creatively as possible. 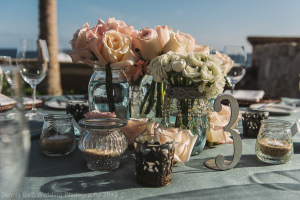 In this case, we hung aqua crystals from the flower bases and utilized clear vases and votives in order to keep the focus on Alisha’s clean, crisp colors. 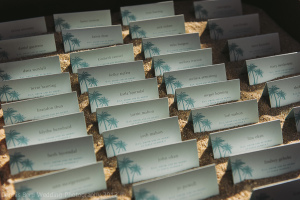 In keeping with the theme of simple beach elegance, we left the back of the guests’ chairs exposed and used a special aqua tie only on the bride and groom’s chairs. We loved every detail of this seaside celebration, but we think the most memorable feature was the custom blue Chinese lanterns strung above the reception area. And just when we thought we couldn’t adore them any more, the sun went down and the lanterns gave off a fun, romantic glow—a picture-perfect ending to an unforgettable day for Alisha and Shawn! 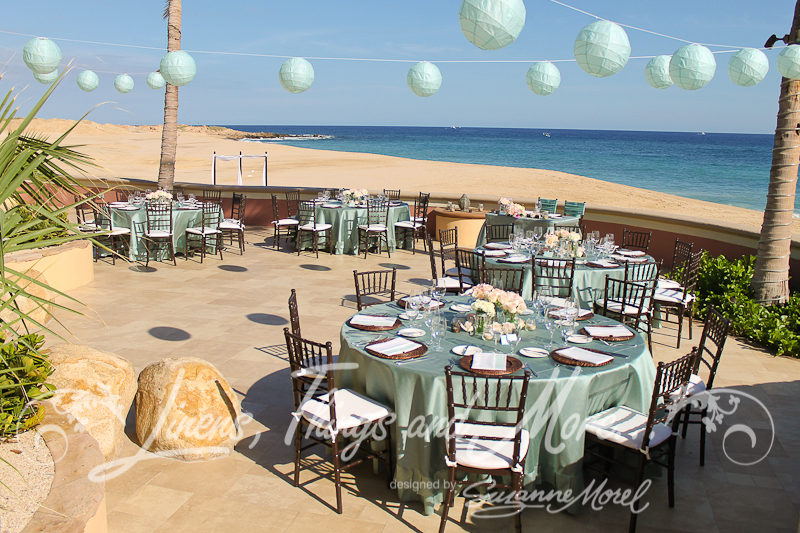 This entry was posted in Accessories and decor, Cabo event design and decor, Cabo Floral Studio, High end set-ups, Linen collection 2012, Sheraton Hacienda Del Mar, Suzanne Morel, Vivid Occasions - Wedding coordinators, Wedding flowers Cabo, wedding locations in Los Cabos, Weddings and corporate events decor and tagged CABO FLORAL STUDIO, CABO LINENS, cabo wedding, Event decor, high end wedding, Sheraton Hacienda Del Mar, Suzanne Morel, Vivid Occasions, Wedding design, wedding flowers.